Cost: $25, $10 all students. Tickets at dukeperformances.org or the Duke University Box Office. For its first outing with new cellist Caroline Stinson, the Ciompi Quartet maintains its annual tradition of beginning each new season with a string quartet from Haydn, the architect of the form. The Ciompi plays the first quartet of his final set (Quartet in G Major, op. 76, no. 1) before turning to Legacy, composed in 1999 by new Durham resident Andrew Waggoner. An explosive piece inspired by Jimi Hendrix's guitar bravado, Legacy pays homage to early American feminist icons through evocative, surging interplay. The Ciompi then turns to one of the final quartets of Beethoven. Written two years before his death, his intense Quartet in E-Flat Major, op. 127 echoes passages from his mighty Ninth Symphony. After more than forty years with the Ciompi Quartet, Duke University's esteemed string quartet-in-residence, cellist Fred Raimi retired in April 2018. 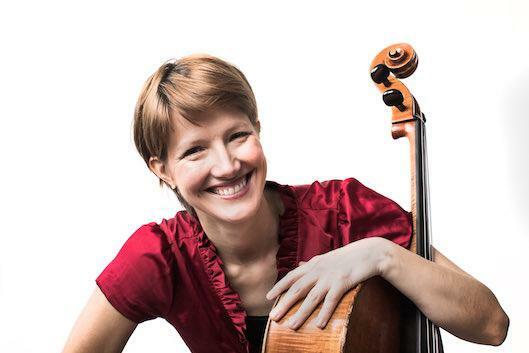 Just days before Raimi's final performance, the Ciompi announced that the search to fill the seat of its longest-standing member was finally complete with the addition of cellist Caroline Stinson. After extended stints in two of New York's most celebrated quartets, the Lark and the Cassatt, Stinson brings new energy to the Ciompi as it begins to stake out an identity without Raimi for the first time since 1974. The new quartet's first season honors tradition - as always, they begin with a Haydn quartet - while pursuing an ambitious set of commissions, collaborations, and works by living composers.